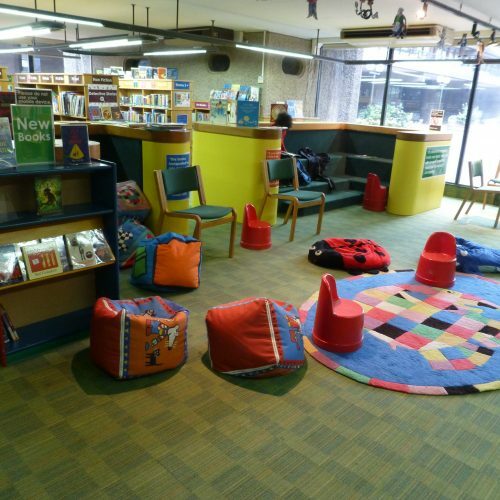 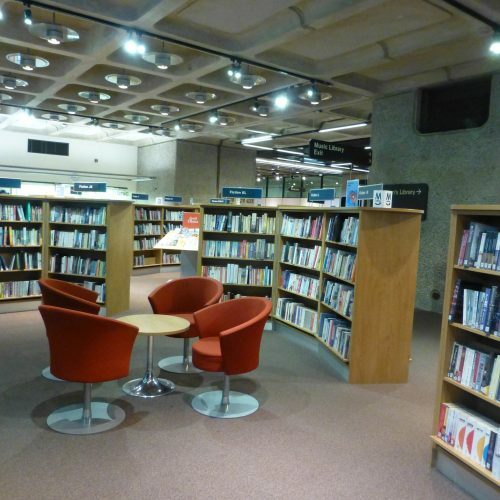 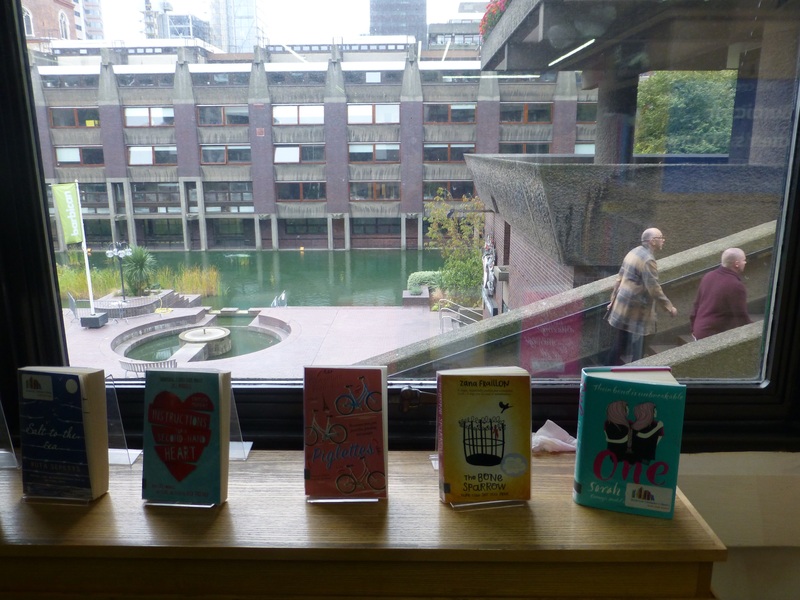 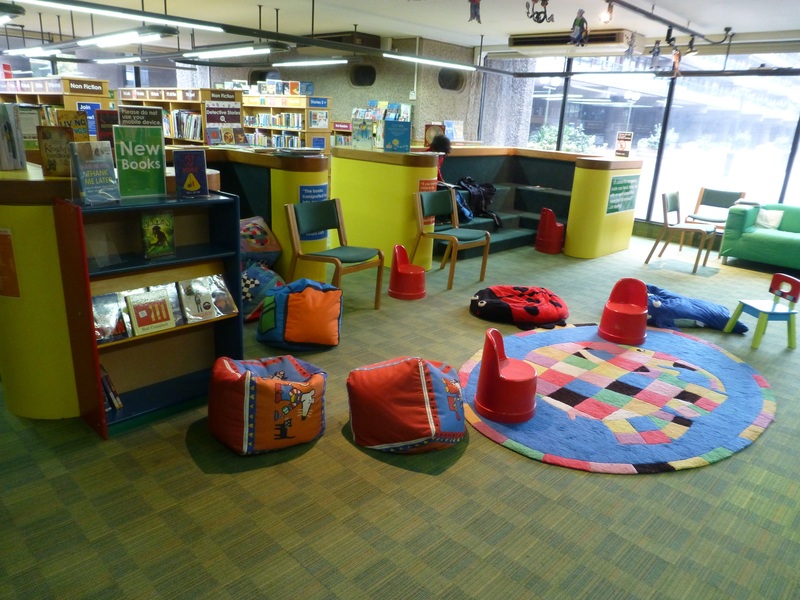 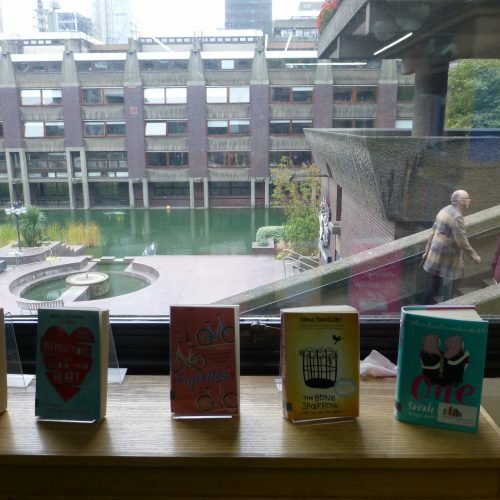 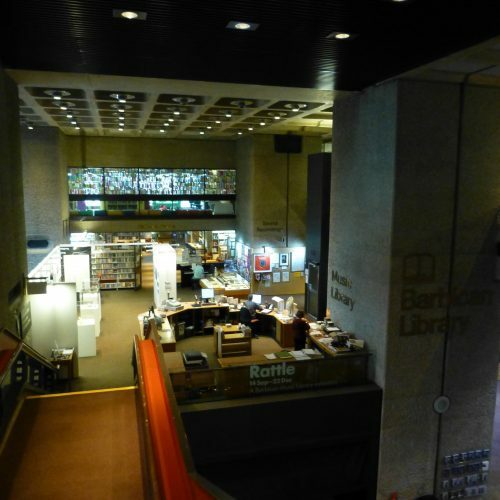 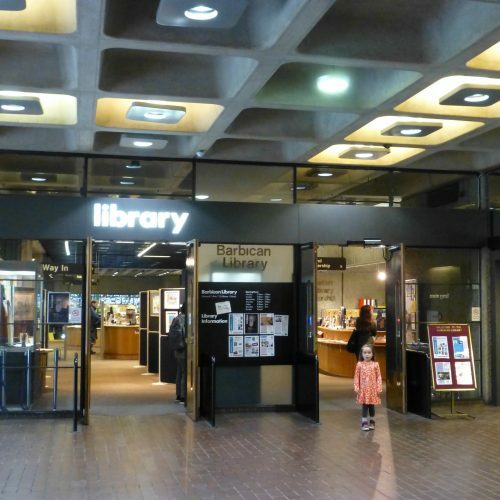 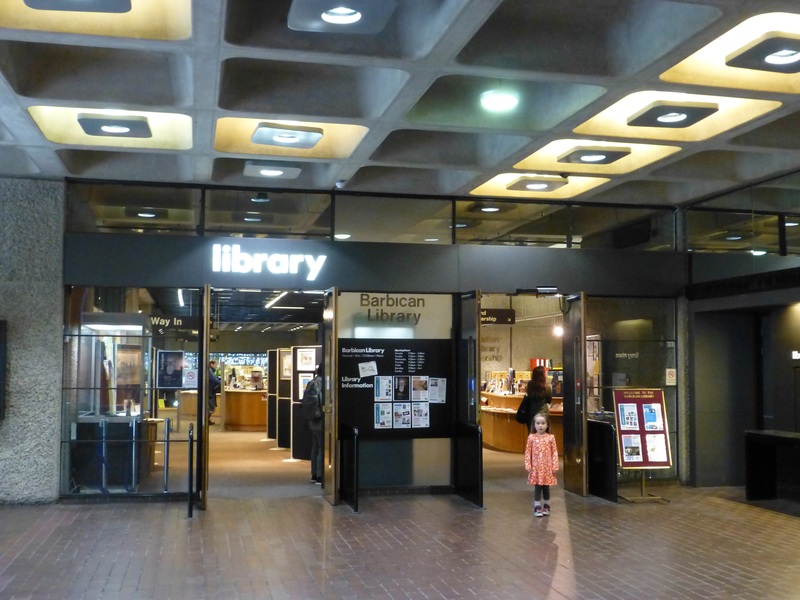 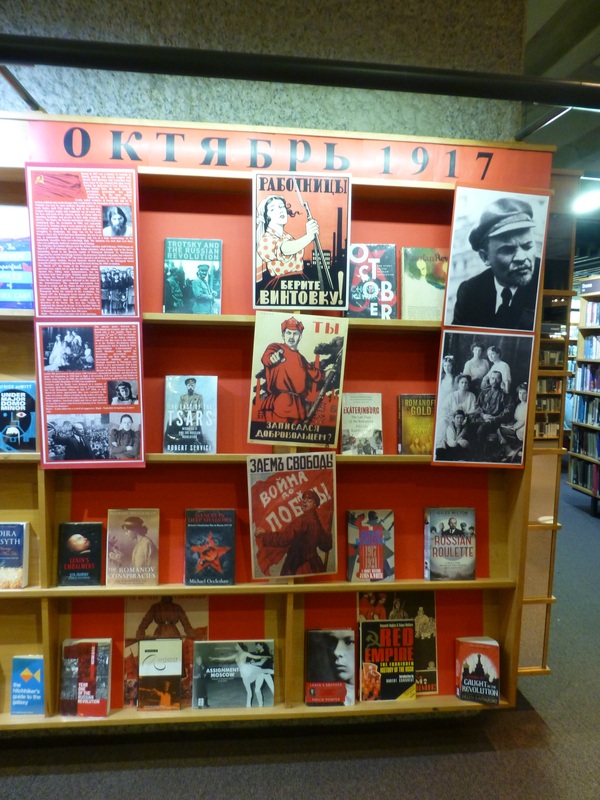 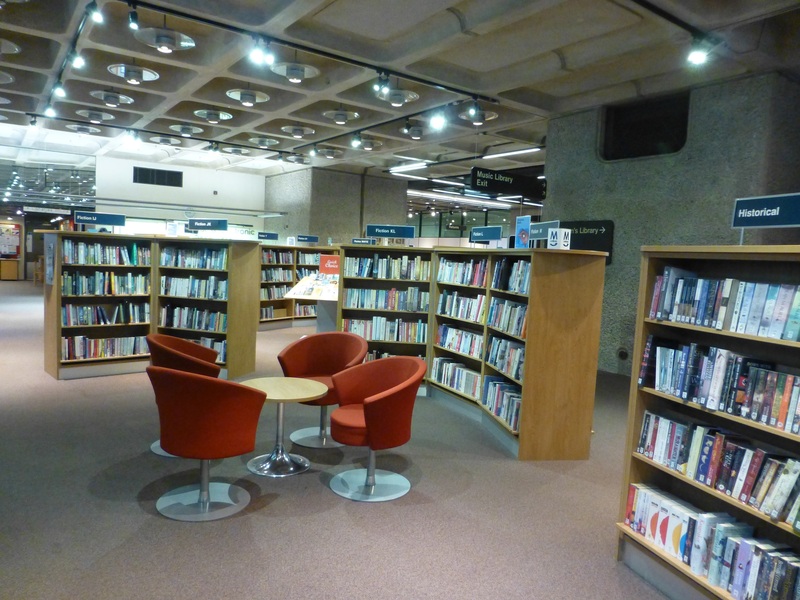 Barbican Library is located in the Barbican Centre, a large cultural complex in the City of London. 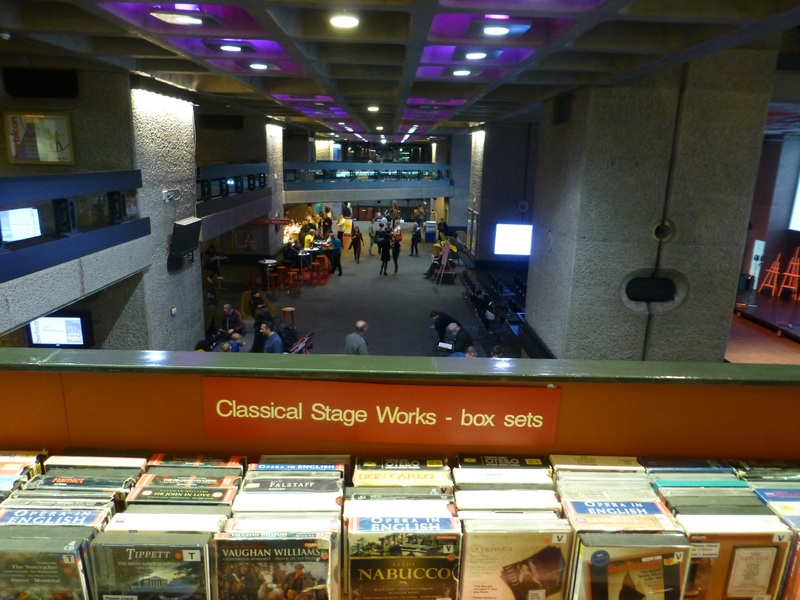 The Centre contains among other things premises for concerts, theatre performances, films, art exhibitions in combination with restaurants and conferences. 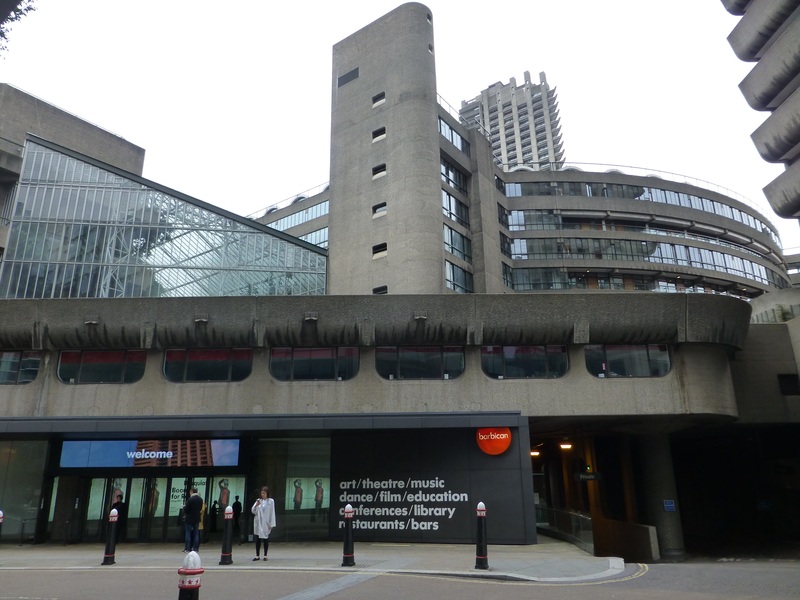 The Barbican Centre and the surrounding residential estates and other buildings are built in the 1960`s and 1970`s. 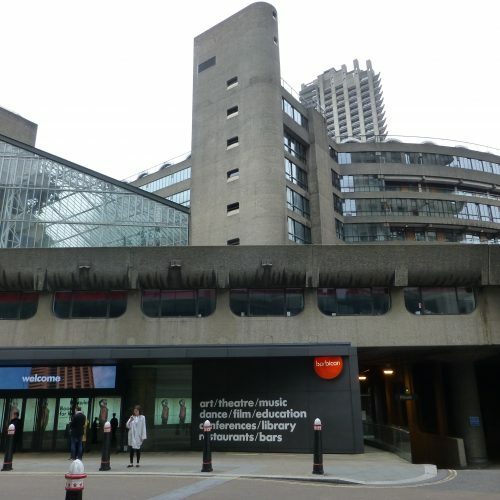 They are prominent examples of British brutalist architecture. 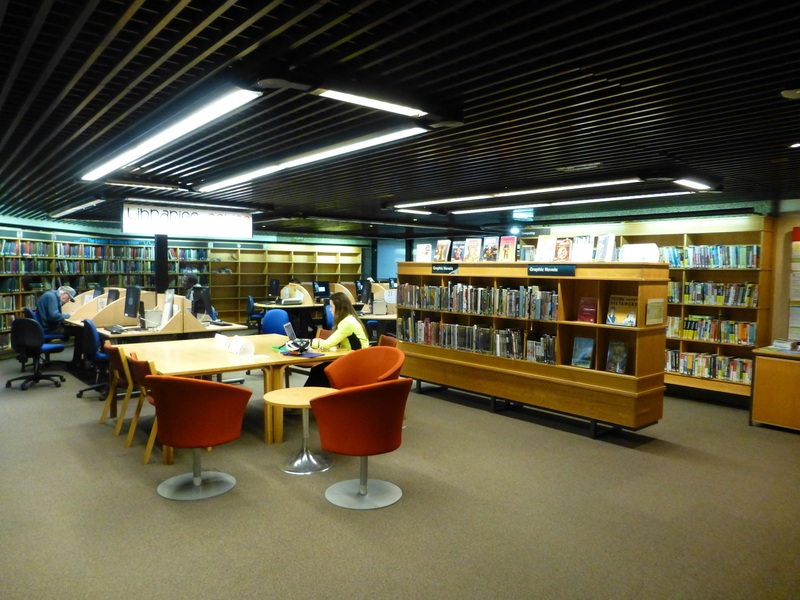 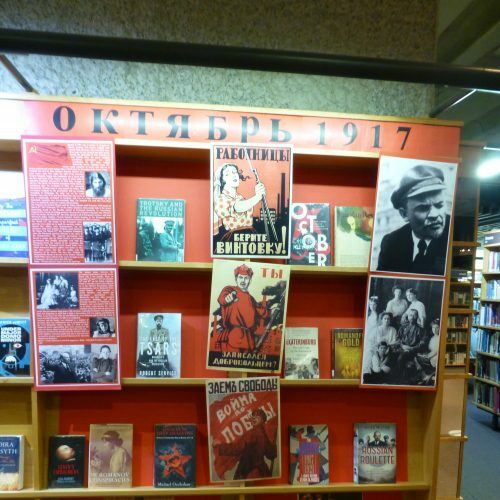 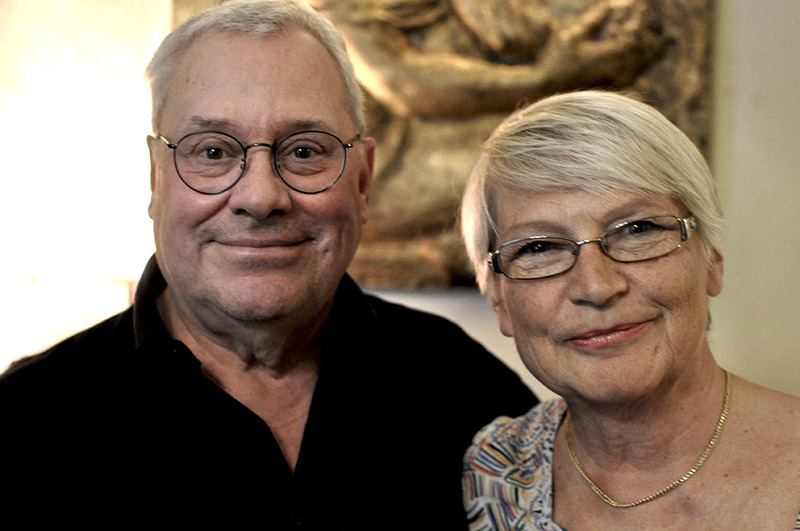 The library reflects its environment in the services and offers a special music and art library. 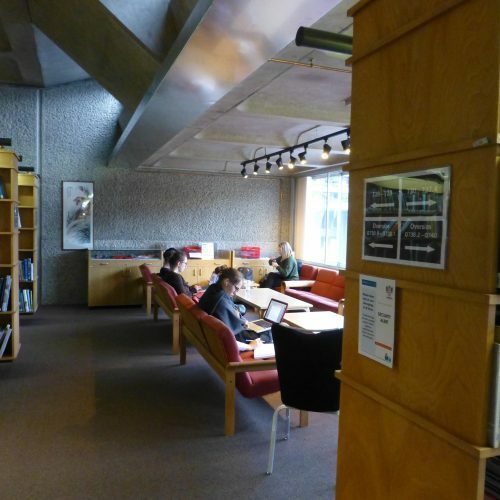 The library premises are in the heart of the building without walls. 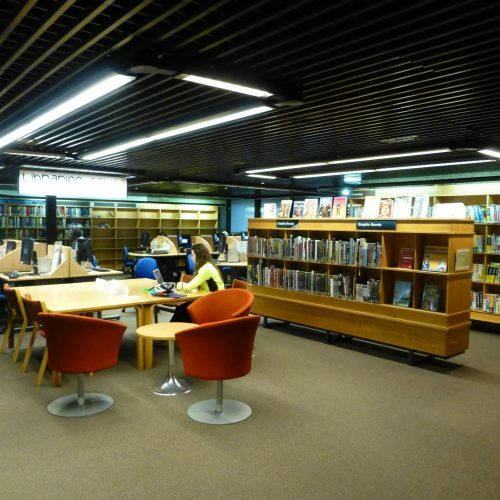 This creates a strange sound atmosphere: the library itself is a silent area but the noise from the central hall and the cafeteria is constantly present. 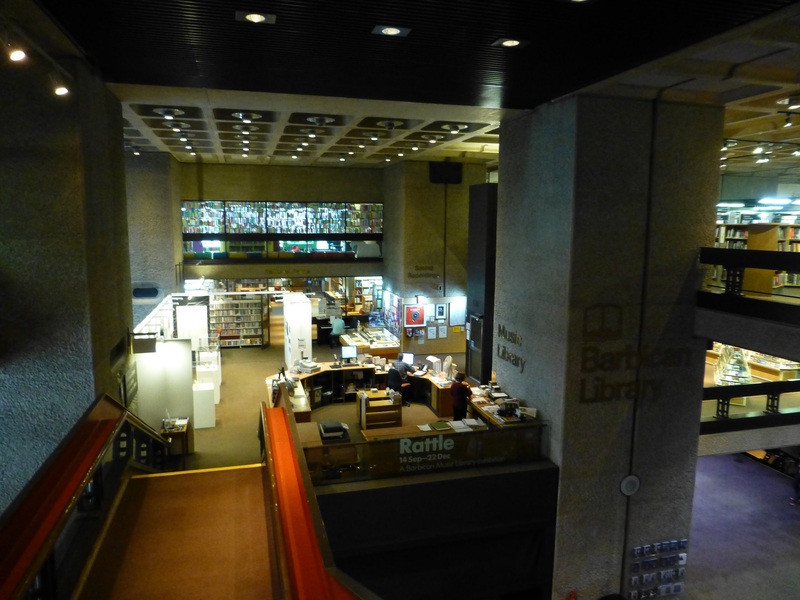 The collections and programs are good but there are very few newspapers. 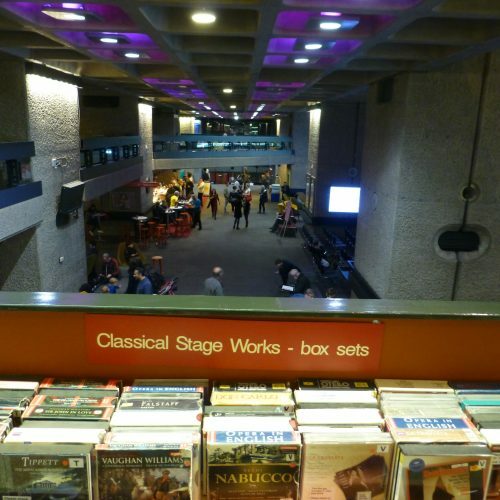 There are high fees to borrow music and films. 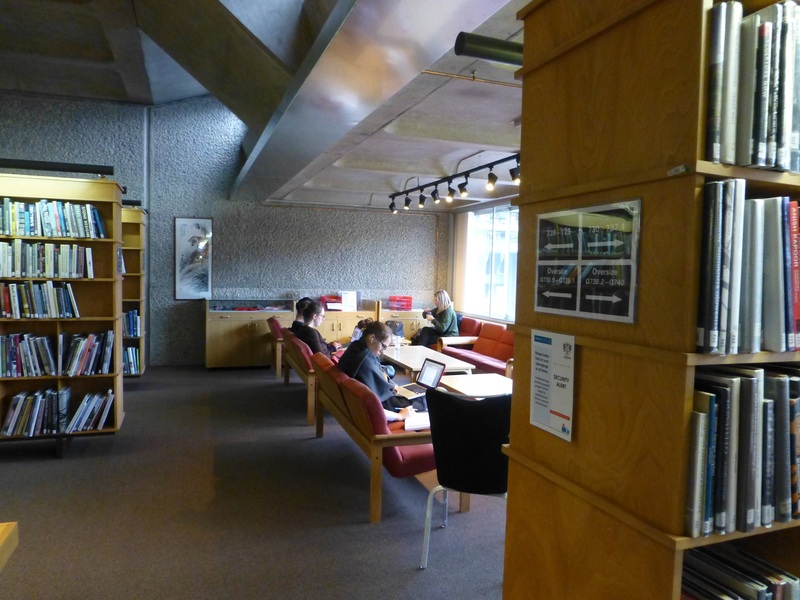 THREE stars: Good.